Enjoy this high-quality matte velvet jersey fabric! 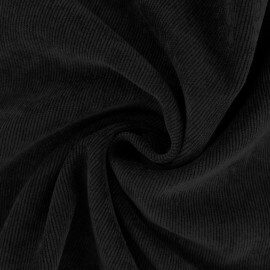 This luxury jersey fabric, Oeko-Tex certified, with 80% cotton, 20% Polyester, with a pretty black color, will be perfect to create wonderful and comfortable dresses or nice bow ties! Enjoy this high-quality matte velvet jersey fabric! This luxury jersey fabric, Oeko-Tex certified, with 80% cotton, 20% Polyester, with a pretty dark grey color, will be perfect to create wonderful and comfortable dresses or nice bow ties! Enjoy this high-quality matte velvet jersey fabric! This luxury jersey fabric, Oeko-Tex certified, with 80% cotton, 20% Polyester, with a pretty plum pink color, will be perfect to create wonderful and comfortable dresses or nice bow ties! Enjoy this high-quality matte velvet jersey fabric! 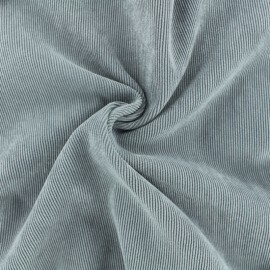 This luxury jersey fabric, Oeko-Tex certified, with 80% cotton, 20% Polyester, with a pretty peacock blue color, will be perfect to create wonderful and comfortable dresses or nice bow ties! Enjoy this high-quality matte velvet jersey fabric! This luxury jersey fabric, Oeko-Tex certified, with 80% cotton, 20% Polyester, with a pretty Navy blue color, will be perfect to create wonderful and comfortable dresses or nice bow ties! Enjoy this high-quality matte velvet jersey fabric! This luxury jersey fabric, Oeko-Tex certified, with 80% cotton, 20% Polyester, with a pretty mustard yellow color, will be perfect to create wonderful and comfortable dresses or nice bow ties! This velvet fabric with thick ribs and black color is soft and comfortable to wear thanks to its 3% elastane. It is ideal for sewing pants, overalls and skirts for the cool seasons. This velvet fabric with thick ribs and off-white color is soft and comfortable to wear thanks to its 3% elastane. It is ideal for sewing pants, overalls and skirts for the cool seasons. This velvet fabric with thick ribs and beige color is soft and comfortable to wear thanks to its 3% elastane. It is ideal for sewing pants, overalls and skirts for the cool seasons. This velvet fabric with thick ribs and powder pink color is soft and comfortable to wear thanks to its 3% elastane. It is ideal for sewing pants, overalls and skirts for the cool seasons. 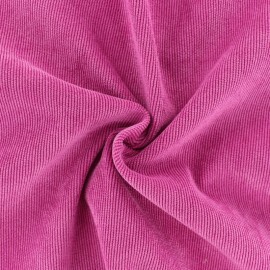 This velvet fabric with thick ribs and pink color is soft and comfortable to wear thanks to its 3% elastane. It is ideal for sewing pants, overalls and skirts for the cool seasons. This velvet fabric with thick ribs and wine red color is soft and comfortable to wear thanks to its 3% elastane. It is ideal for sewing pants, overalls and skirts for the cool seasons. This velvet fabric with thick ribs and brown color is soft and comfortable to wear thanks to its 3% elastane. It is ideal for sewing pants, overalls and skirts for the cool seasons. This velvet fabric with thick ribs and orange color is soft and comfortable to wear thanks to its 3% elastane. It is ideal for sewing pants, overalls and skirts for the cool seasons. 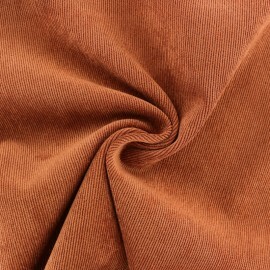 This velvet fabric with thick ribs and Apricot orange color is soft and comfortable to wear thanks to its 3% elastane. It is ideal for sewing pants, overalls and skirts for the cool seasons. 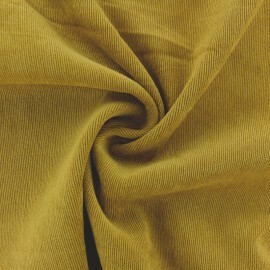 This velvet fabric with thick ribs and mustard yellow color is soft and comfortable to wear thanks to its 3% elastane. It is ideal for sewing pants, overalls and skirts for the cool seasons. This velvet fabric with thick ribs and lime green color is soft and comfortable to wear thanks to its 3% elastane. It is ideal for sewing pants, overalls and skirts for the cool seasons. This velvet fabric with thick ribs and khaki green color is soft and comfortable to wear thanks to its 3% elastane. It is ideal for sewing pants, overalls and skirts for the cool seasons. 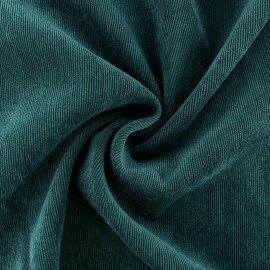 This velvet fabric with thick ribs and peacock green color is soft and comfortable to wear thanks to its 3% elastane. It is ideal for sewing pants, overalls and skirts for the cool seasons. 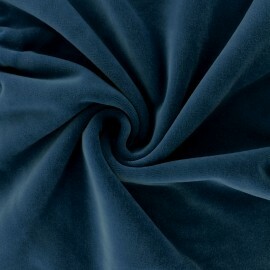 This velvet fabric with thick ribs and sky blue color is soft and comfortable to wear thanks to its 3% elastane. It is ideal for sewing pants, overalls and skirts for the cool seasons. This velvet fabric with thick ribs and cobalt blue color is soft and comfortable to wear thanks to its 3% elastane. It is ideal for sewing pants, overalls and skirts for the cool seasons. 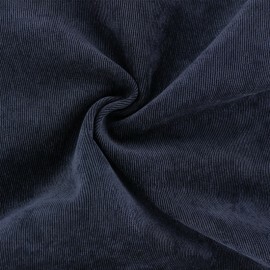 This velvet fabric with thick ribs and navy blue color is soft and comfortable to wear thanks to its 3% elastane. It is ideal for sewing pants, overalls and skirts for the cool seasons. 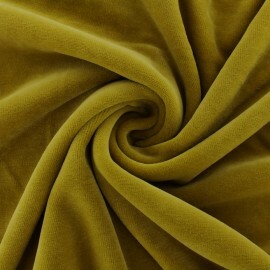 Adorable Billie plain ribbed velvet fabric with pretty ochre yellow. Fall for this velvet winter fabric and make wonderful clothes for children and babies like skirts, shorts, dresses, or jackets. This velvet fabric is quite light and flexible and confortable. 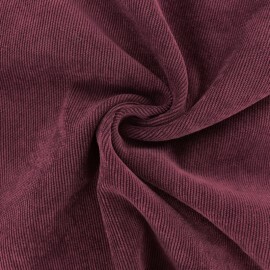 Adorable Billie plain ribbed velvet fabric with pretty brick red color. Fall for this velvet winter fabric and make wonderful clothes for children and babies like skirts, shorts, dresses, or jackets. This velvet fabric is quite light and flexible and confortable. Adorable Billie plain ribbed velvet fabric with pretty black color. Fall for this velvet winter fabric and make wonderful clothes for children and babies like skirts, shorts, dresses, or jackets. This velvet fabric is quite light and flexible and confortable. 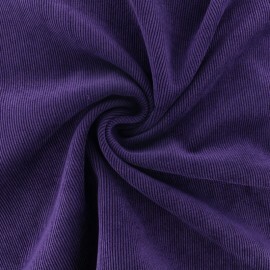 Adorable Billie plain ribbed velvet fabric with pretty eggplant purple color. Fall for this velvet winter fabric and make wonderful clothes for children and babies like skirts, shorts, dresses, or jackets. This velvet fabric is quite light and flexible and confortable. 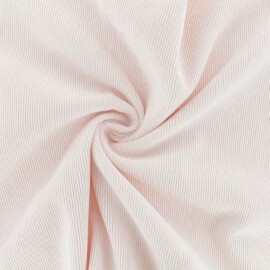 Adorable Billie plain ribbed velvet fabric with pretty light pink color. Fall for this velvet winter fabric and make wonderful clothes for children and babies like skirts, shorts, dresses, or jackets. This velvet fabric is quite light and flexible and confortable. 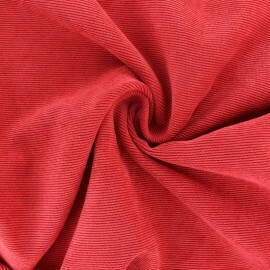 Adorable Billie plain ribbed velvet fabric with pretty Poppy red color. Fall for this velvet winter fabric and make wonderful clothes for children and babies like skirts, shorts, dresses, or jackets. This velvet fabric is quite light and flexible and confortable. 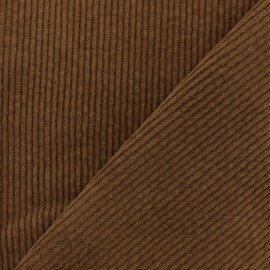 Adorable Billie plain ribbed velvet fabric with pretty havana brown color. Fall for this velvet winter fabric and make wonderful clothes for children and babies like skirts, shorts, dresses, or jackets. 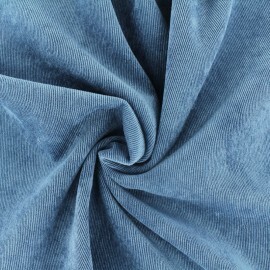 This velvet fabric is quite light and flexible and confortable. 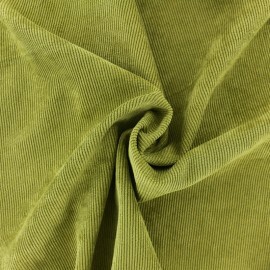 Adorable Billie plain ribbed velvet fabric with pretty moss green color. Fall for this velvet winter fabri and make wonderful clothes for children and babies like skirts, shorts, dresses, or jackets. This velvet fabric is quite light and flexible and confortable. Adorable Billie plain ribbed velvet fabric with pretty Peacock green color. Fall for this velvet winter fabric and make wonderful clothes for children and babies like skirts, shorts, dresses, or jackets. This velvet fabric is quite light and flexible and confortable. 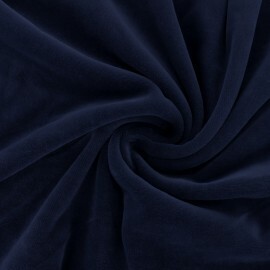 Adorable Billie plain ribbed velvet fabric with pretty Midnight blue color. Fall for this velvet winter fabric and make wonderful clothes for children and babies like skirts, shorts, dresses, or jackets. This velvet fabric is quite light and flexible and confortable. 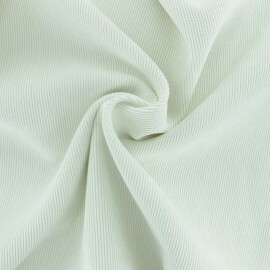 Adorable Billie plain ribbed velvet fabric with pretty off-white color. Fall for this velvet winter fabric and make wonderful clothes for children and babies like skirts, shorts, dresses, or jackets. This velvet fabric is quite light and flexible and confortable. 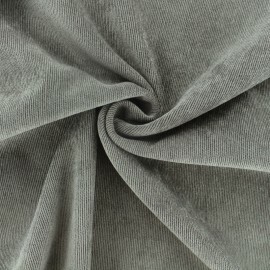 Adorable Billie plain ribbed velvet fabric with pretty light grey color. Fall for this velvet winter fabric and make wonderful clothes for children and babies like skirts, shorts, dresses, or jackets. This velvet fabric is quite light and flexible and confortable. 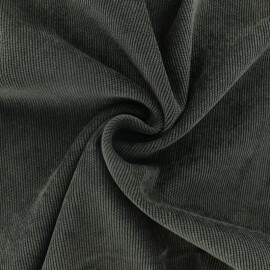 Adorable Billie plain ribbed velvet fabric with pretty dark grey color. Fall for this velvet winter fabric and make wonderful clothes for children and babies like skirts, shorts, dresses, or jackets. This velvet fabric is quite light and flexible and confortable. 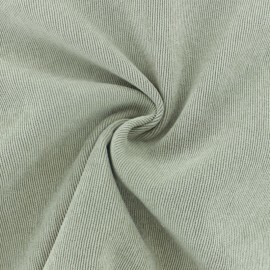 Adorable Billie plain ribbed velvet fabric with pretty taupe grey color. Fall for this velvet winter fabric and make wonderful clothes for children and babies like skirts, shorts, dresses, or jackets. This velvet fabric is quite light and flexible and confortable. 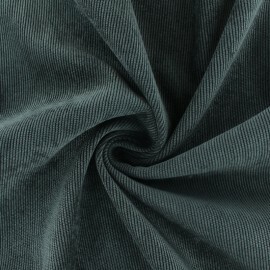 Adorable Billie plain ribbed velvet fabric with pretty Dark Chocolate color. Fall for this velvet winter fabric and make wonderful clothes for children and babies like skirts, shorts, dresses, or jackets. This velvet fabric is quite light and flexible and confortable. Adorable Billie plain ribbed velvet fabric with pretty brown color. Fall for this velvet winter fabric and make wonderful clothes for children and babies like skirts, shorts, dresses, or jackets. This velvet fabric is quite light and flexible and confortable. 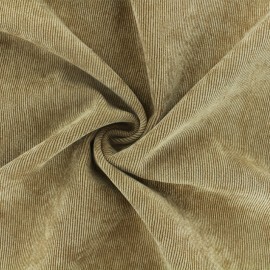 Adorable Billie plain ribbed velvet fabric with pretty camel color. Fall for this velvet winter fabric and make wonderful clothes for children and babies like skirts, shorts, dresses, or jackets. This velvet fabric is quite light and flexible and confortable. 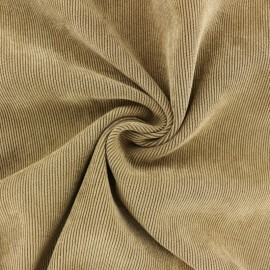 Adorable Billie plain ribbed velvet fabric with pretty light beige color. Fall for this velvet winter fabric and make wonderful clothes for children and babies like skirts, shorts, dresses, or jackets. This velvet fabric is quite light and flexible and confortable. 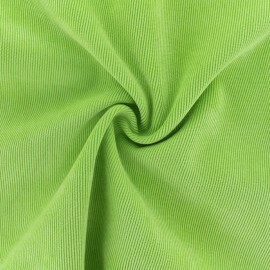 Adorable Billie plain ribbed velvet fabric with pretty Lime green color. Fall for this velvet winter fabric and make wonderful clothes for children and babies like skirts, shorts, dresses, or jackets. This velvet fabric is quite light and flexible and confortable. 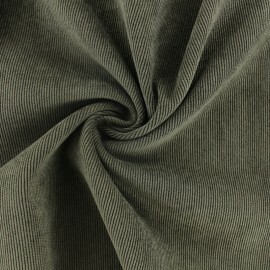 Adorable Billie plain ribbed velvet fabric with pretty khaki green color. Fall for this velvet winter fabric and make wonderful clothes for children and babies like skirts, shorts, dresses, or jackets. This velvet fabric is quite light and flexible and confortable. 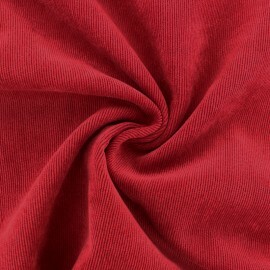 Adorable Billie plain ribbed velvet fabric with pretty red color. Fall for this velvet winter fabric and make wonderful clothes for children and babies like skirts, shorts, dresses, or jackets. This velvet fabric is quite light and flexible and confortable. 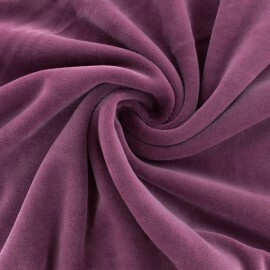 Adorable Billie plain ribbed velvet fabric with pretty purple color. Fall for this velvet winter fabric and make wonderful clothes for children and babies like skirts, shorts, dresses, or jackets. This velvet fabric is quite light and flexible and confortable. Adorable Billie plain ribbed velvet fabric with pretty bluish grey color. Fall for this velvet winter fabric and make wonderful clothes for children and babies like skirts, shorts, dresses, or jackets. This velvet fabric is quite light and flexible and confortable. 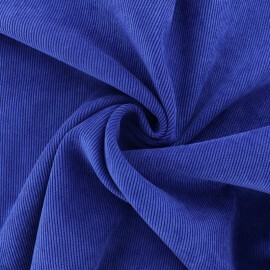 Adorable Billie plain ribbed velvet fabric with pretty royal blue color. Fall for this velvet winter fabric and make wonderful clothes for children and babies like skirts, shorts, dresses, or jackets. This velvet fabric is quite light and flexible and confortable. 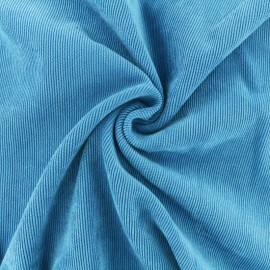 Adorable Billie plain ribbed velvet fabric with pretty turquoise blue color. Fall for this velvet winter fabric and make wonderful clothes for children and babies like skirts, shorts, dresses, or jackets. This velvet fabric is quite light and flexible and confortable.